Alaska's State Flower is the "Forget-Me-Not. Forget me not flowers are very fragrant in the evening and night time, though there is little or no scent in the daytime. They can be annual or perennial plants. Their seeds are found in small, tulip shaped pods along the stem to the flower. Owls are finely-tuned hunting machines. Large eyes enable them to see in the dark. Their acute hearing can pinpoint the precise location of small mammals, even under a blanket of snow. 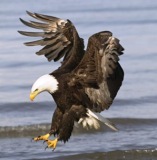 They glide on silent wings to grasp unsuspecting prey with their piercing, curved talons. Owls are aerial predators and they need all of these adaptations in order to survive. The barred owl is a medium- sized owl is approximately 16-25” long, grayish in color, with white horizontal streaking on its chest and vertical streaking on its belly. The Barred Owl has a round head with no ear tufts, off-white facial disk with dark trim, dark brown eyes, and a light colored beak. Typically a perch hunter, the Barred Owl will sit and wait for prey to come by. It is an opportunistic feeder that eats a wide variety of animals including small rodents such as voles, young hares, bats, mink, weasels, squirrels, various birds, and even large insects. In Alaska it is only found in the forests of Southeast. About 10” long, the Boreal Owl has a chocolate brown back with large white spots and white underparts streaked with brown. 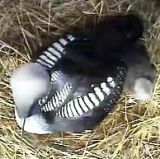 Its off-white facial disk with a distinct black border, short tail, yellow bill, and white forehead spotting are distinctive field markings. These small, nocturnal owls have good eyesight, but rely more on keen hearing. Their asymmetrical ear openings (the greatest asymmetry of any owl) allow them to pinpoint the location of their small prey. Boreal Owls eat mostly voles but also consume songbirds, shrews and occasionally even bats. 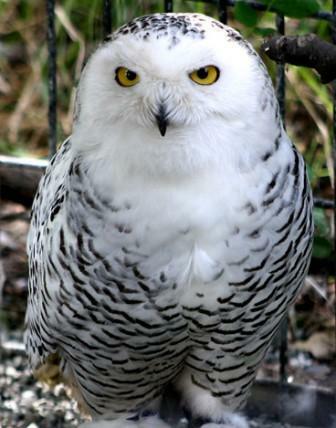 The snowy owl is the northernmost, the heaviest, and the most distinctive owl in North America. In summer, the snowy owl lives along the northern margins of the arctic tundra, spending much of its time perched silent and still on prominent lookouts, patiently waiting for prey. Its meal of choice during the breeding season is the lemming, which it locates either visually or by sound even in dense grass or under thick layers of snow, before swooping in on long wings to grab the small rodent in its talons. An adult owl may consume three to five lemmings a day. The snowy owl is silent except during breeding season when the male will give a low, hollow booming sound and puff out his throat in a territorial display. Mated pairs are fiercely protective of their nest, even against wolves. 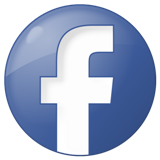 The owl migrates in winter to southern Canada and the northern half of the contiguous United States. These magnificent owls have yellow eyes, a black beak, and a blanket of feathers covering their legs and feet. Only the male is completely white. At 24-33” long, the Great Gray Owl appears to be the largest owl in Alaska, although both the Great Horned and Snowy Owls are heavier and stronger. The Great Gray has a very large head (making its yellow eyes appear small), a heavily ringed facial disk with concentric gray circles, an overall dusky gray appearance with streaked underparts, and a relatively long tail. It lacks the ear tufts of the Great Horned Owl. Sensitive hearing allows Great Gray Owls to detect voles moving under the snow. They often plunge-dive into the snow in pursuit of prey, and can capture voles tunneling a foot beneath the surface. Boreal forest and wooded bogs are where Great Gray Owls are found. They hunt along forest edges and in small openings in the forest such as old river sloughs, old burns and open stands of tamarack. They usually nest in a large, broken birch, spruce or poplar tree trunk. 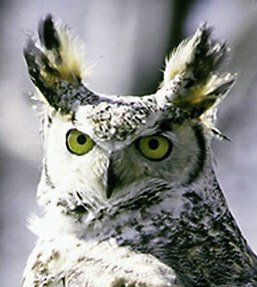 The Great Horned Owl is about 18-25” long. It has prominent ear tufts creating the “horned” appearance. Its large size and white throat, or “bib,” distinguish the Great Horned Owl. It is Alaska’s only large owl with ear tufts. The back of this raptor is various shades of brown and gray, mottled with white and buff. The underparts are white, tinted with buff and barred with dark brown or black. The facial disk is reddish, and the eyes are deep yellow. In flight, these owls are recognized by their large heads, very short necks and white throats. These birds live primarily in forested habitats. They invariably nest in old hawk, eagle, raven, or squirrel nests, but may occasionally nest in a large natural cavity of a hollow tree or cliff edge. They hunt in fields, meadows, old burns and along forest edges. The Western Screech-Owl is generally a mottled brownish color which helps it blend in with tree bark. It has a dark bill, yellow eyes, and prominent ear tufts. Its facial disc is bordered with black. When startled, screech owls stretch tall and hold their wings close to their backs, simulating dead tree branches. Only 8.5” long, this is one of the smaller owls in Alaska. The Western Screech-Owl nests in tree cavities and hunts along larger river corridors and in the conifer forests in Southeast Alaska.